On May 2nd, 2015 we made a farm visit to Heidi Feldman’s farm on Martha’s Vineyard called Down Island Farm. 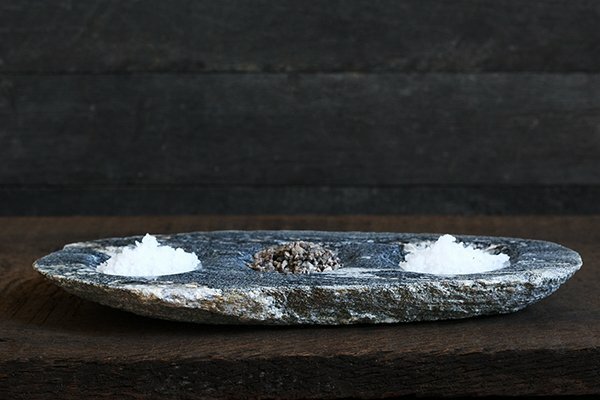 One of the farm’s best known products is actually sea salt! 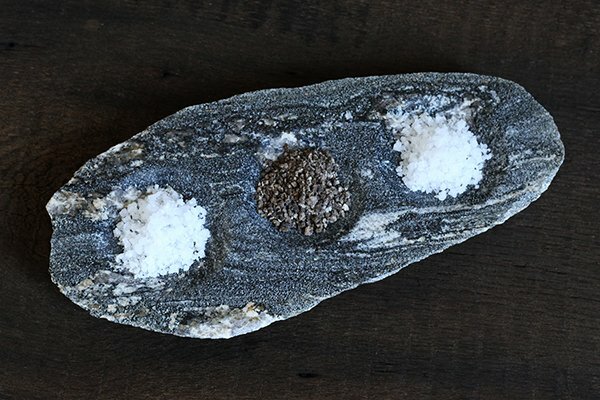 The farm harvests nearby ocean water and allows it to dry in a special building, collect and package the crystals and add accompanying flavors. Here at American Stonecraft, we love making custom projects for our customers to enjoy! Look what Heidi asked us to make for her salt tasting dishes. You can see more photos and read more about the farm here! This entry was posted in The Farms and tagged Art, down island farm, Farm Visit, Fieldstone, Martha's Vineyard, Massachusetts, Salt, Stone.